Gill from Panache Designs: "I just wanted to let you know how excellent I thought Hawkesbury Show was. The organisation was terrific, so everything ran smoothly. I do a great many events... and frequently the organisation leaves much to be desired. Thank you for letting me have a pitch - I did really well, selling lots of items. Look forward to next year." ﻿ Access to the Showground by car or van is between 7am and 12.00 noon – after that time cars are not allowed to drive onto the field but may remain parked by their stall during the day. The gates open to the public at 12.30pm. Stalls can depart from 6.00pm although visitors will still be on the show ground as the show concludes with the Auction of donated produce in the marquee at 7.00pm. Pitch fee for a stall outside on the showground is £25. Stallholders should bring their own table, chairs and display/advertising. Most also bring a gazebo. There is space allocated by your pitch for one vehicle, a Pass will be sent on receipt of the pitch fee. Vehicles cannot drive onto the showground without a vehicle pass. 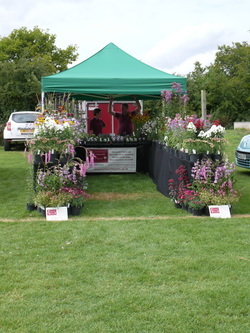 This year will see yet another fantastic variety of stalls. KAT Kathmandu Animal Treatment Centre – nearly new bric-a-brac.